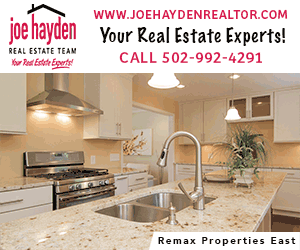 Looking for day trips from Louisville? 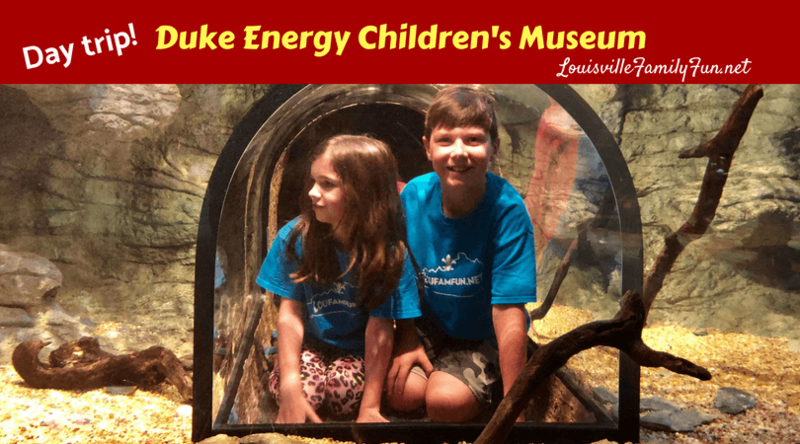 Duke Energy Children’s Museum is in Cincinnati and makes for an easy single day trip for families with young children. There is a lot going on a Union Terminal where the Duke Energy Children’s Museum is locationed – they are repairing and restoring the building and surrounding area and opening up portions of the museum as the finish. The Children’s Museum is open! Admission to the Duke Energy Children’s Museum ranges from $5.50 to $10.50 so this is a really affordable museum and it is open 10am to 5pm (11am-6pm on Sundays). Before you head out, you can check their website to learn about the other exhibits. We noticed that there were additional fees to access the special exhibits – basically and up-charge on your basic admission. There is a $5 parking fee. Note, if you leave and come back that day, you can show your parking ticket to the front desk and they’ll take care of it so you don’t have to pay twice! Nicolle and I took our children for the day; ages 6 to 11. All of the kids enjoyed their day and were able to find their favorite parts of the museum. In general, we feel this museum skews toward the interests of younger children – preschool to about age 9. We started in the special exhibit, Mission Aerospace and spent about an hour and a half in that area. They built and shot off rockets, folded pretty complex paper airplanes, went through a large learning maze, and flew a virtual plane with an interactive video game. As we headed over to the main area we noticed that it was quite busy. It was a rainy day and there were many camps. Before making your trip up to Cincinnati, you can call and inquire about the number of camps scheduled to visit. We decided to break for lunch and return later when we thought most of the camps would be finished and leaving. You can leave and return for lunch, bring your lunch, or purchase from their temporary cafe. When we returned, many of the groups had left and it made for a more enjoyable time since it was less crowded. There was ample space right outside of the museum entrance to sit and eat – we recommend bringing your lunch for both savings and ease. They have programs throughout the day and we enjoyed the art area where the kids made a project similar to a known artist. This was also a great time for them to sit and focus on one thing after being in other areas of a lot of stimulus. Check the daily schedule for program options when you arrive. The kids really like the The Woods climbing area, the ball engineering area, and the water table. There is an area specific to small children and although we did not go in that space, we thought it was important to note. Throughout the museum, children can enter in to pretend spaces and become chefs, doctors, engineers, artists, and more. The museum features many child-sized themes spaces that were full of children using their imagination. Considering the price is similar to that of going to the movies and at this museum, you and your child get to explore and learn, I’d say it’s worth the drive! Side note: We left for lunch and tried a Taste of Belgium, which was highly recommended. We were able to leave the museum and quickly find it in the Over the Rhine area of Cincinnati. We parked on the street just about two blocks away. It was a rainy day, otherwise we would have looked around this area a bit more. It appeared to be a great area for window shopping and general exploring and we did notice Washington Park. It was just small enough to pop in and out but large enough to gain your attention. It looks like events take place at this park and there is a splash pad and playground. Back to food – Taste of Belgium is popular in Cincinnati. It has authentic Belgian waffles and other baked items to swoon over when you walk in but we were there for lunch. We both felt like the food was excellent but for the kids, the single waffle just was not a balanced meal. And, for the cost of over $70 for 4 kids and two adults, definitely an indulgence that we would not repeat for an ordinary Tuesday! And…..everyone should have gotten water! Don’t get us wrong, the kids devoured their waffles and our food was very good but it just wasn’t fitting for our day trip at such an expense. Maybe it would be a good spot for a shared afternoon treat. Nicolle also wrote about the experience on OldhamFamilyFun.net, check it out. Feeling like you need a little travel? Check out our ideas!